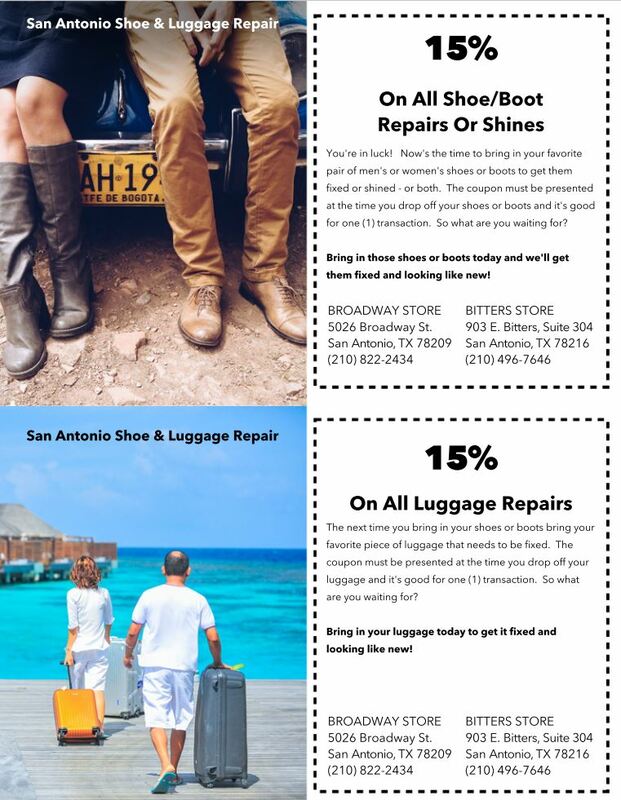 Thank you for considering San Antonio Shoe & Luggage. Please use the 15% off coupon as our gift at one of our two San Antonio locations. Just click on the Get Your Coupon download button to get your printable PDF. CLICK HERE TO GET YOUR COUPON, print it and bring with you to our Bitters or Broadway location. Download Your Cash Coupon Above, Print & Redeem Your SA Shoe & Luggage Store. This Image Will Not Be Accepted As The Coupon.